LAHORE: The upcoming sowing of wheat is likely in jeopardy as out of combined 13 million acre feet (MAF) water capacity of two major dams only 9MAF would be available for irrigation during the whole Rabi season, officials said on Friday. “Tarbela Dam is expected to be filled to its maximum storage level of 1550 feet by end of this month or by early September,” an senior official privy to matters said while talking to The News. The source said currently the foremost task of water managers was to ensure smooth maturity of Kharif crops so preference was being given to meeting requirements of standing crops. He said the overall shortfall of Kharif had swelled to 29 percent till now. “Water flows in rivers are much below anticipations. The water level of Tarbela Dam is about 19 feet below than our estimated level of 1,539 feet. So at the moment we are facing a deficit of over one million acre feet in the dam against our estimations,” official said. Tarbela Dam reservoirs have reached about 80 percent of capacity after robust filling in the last one month, raising hopes of impounding water to maximum conservation level in next a few weeks, officials said. “Chances of filling Tarbela to maximum level have brightened and even a slow water impounding rate due to dam safety will enable filling it to 1550 feet,” the official added. 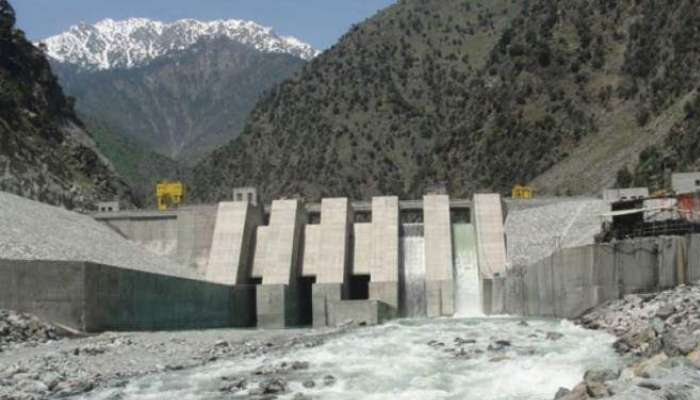 Rivers: Indus at Tarbela: Inflows 257100 cusecs and Outflows 202400 cusecs, Kabul at Nowshera: Inflows 63900 cusecs and Outflows 63900 cusecs, Jhelum at Mangla: Inflows 37600 cusecs and Outflows 10000 cusecs, Chenab at Marala: Inflows 89800 cusecs and Outflows 56200 cusecs. Barrages: Jinnah: Inflows 200100 cusecs and Outflows 192100 cusecs, Chashma: Inflows 200800 cusecs and Outflows 200000 cusecs, Taunsa: Inflows 213400 cusecs and Outflows 185400 cusecs, Panjnad: Inflows 10900 cusecs and Outflows Nil cusecs Guddu: Inflows 158600 cusecs and Outflows 127700 cusecs, Sukkur: Inflows 112100 cusecs and Outflows 56600, Kotri: Inflows 46700 cusecs and Outflows 4800. Reservoirs (Level and Storage): Tarbela: Minimum operating level 1386 feet, present level 1531.23 feet, maximum conservation level 1550 feet, live storage today 4.995 million acre feet (MAF). Mangla: Minimum operating level 1050 feet, present level 1159.70 feet, maximum conservation level 1242 feet, live storage today 2.183 MAF. Chashma: Minimum operating level 638.15 feet, present level 642.00 feet, maximum conservation level 649 feet, live storage today 0.058 MAF.